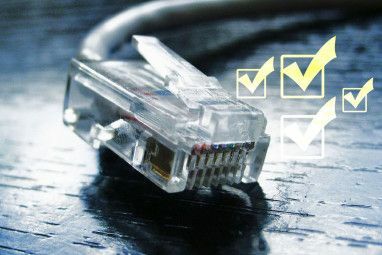 There are many indicators one can take note of when diagnosing computer problems. Take noise, for example. Most users become so accustomed to the sounds their machine makes during normal usage, it ends up being background noise they automatically filter out and no longer consciously recognize. But when the acoustic signature changes, it can be as effective as an alarm clock, as this reader found out. I have a 500 GB Western Digital hard drive that is beeping and I’m not sure what to do. What steps should I take? Is this something that can be fixed? Can my data be recovered? Over the years, advances in technology have significantly improved the acoustic performance of a running computer. This reduction in the sonic output of the system, while radically improving the chances of a user noticing unusual noises emanating from their machine, does not reduce the heart-stopping effect when the ear recognizes the difference. Disclaimer: This article only considers traditional mechanical hard drives. Solid-state drives (SSDs) do not have moving parts such as motors, bearings, and actuators which are the sources of the sounds you hear in mechanical drives. In many new systems, you may not be able to hear most of these sounds emanating from your internal drives. They are likely to be drowned out by the fans in desktop systems. It is much easier to hear these coming from external or docked drives. In some cases, there may be a combination of these sounds which we will detail below where they most commonly occur. If you wish to hear a few representative samples, DataCent has provided several on their site. 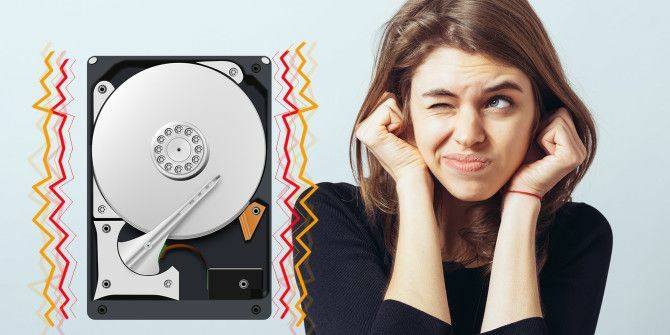 If you hear any of these sounds and even suspect it is a hard drive, if you can still access the drive, immediately perform a backup The Windows Backup and Restore Guide The Windows Backup and Restore Guide Disasters happen. Unless you're willing to lose your data, you need a good Windows backup routine. We'll show you how to prepare backups and restore them. Read More ! Do not even bother attempting to do any further troubleshooting until you have backed up your data. Unusual sounds like these are one of several indicators of a major hard drive failure 5 Signs Your Hard Drive Is Failing (And What to Do) 5 Signs Your Hard Drive Is Failing (And What to Do) Since a majority of people today own laptops and external hard drives, which get dragged around quite a bit, a realistic hard drive lifetime is probably around 3 - 5 years. This is an extremely... Read More . Hard drives, especially internal drives, do not normally have speakers. If you are hearing a regular pattern of beeps and your computer fails to boot, it is far more likely you are hearing an error code being issued via a piezoelectric speaker on the motherboard. During the Power-On Self-Test (POST) process, video circuitry is initialized before hard drives. Because of this, drive errors should generate a descriptive message on the screen instead of a cryptic series of beeps through a speaker. That said, last year I was shown a lightning damaged SATA-to-USB converter board from an external drive that did have a piezo speaker mounted on it. Just don’t expect it on most devices. The first step is to ensure the drive is the cause of the noise. Because many of the unexpected sounds emanating from a hard drive are due to the motor or its bearings and the hard drive does not have the only motor inside the case, other sources must be eliminated as the possible cause. The simplest case is when you hear the disk spin up then two hard clicks during system boot followed by an error message on screen or the system automatically shutting down. Check your cables and connections and use a bootable copy of the manufacturer’s diagnostics (SeaTools for Seagate, Samsung, LaCie and Maxtor drives; Data Lifeguard for Western Digital drives) to test the drive. These tools will run much more comprehensive tests of the drive than the simple tests during startup. It will also return diagnostic codes you will need if the drive is under warranty and you want to RMA the unit. If the system will still boot, close all running applications and as many background processes as possible, safely disconnect any other drives, and run the manufacturer’s diagnostics on the affected drive. If possible, keep only the problem drive connected to the system and remove all others. In most cases, the short test will tell you if it is having mechanical or other serious issues. The extended test is normally a check for bad sectors and won’t really help for noise issues unless you are hearing chattering when accessing specific files which is a common symptom of bad sectors What Are Bad Sectors And How Can You Fix Them? [Part 1] What Are Bad Sectors And How Can You Fix Them? [Part 1] What are these bad sectors? Is this a sign your drive is going to bite the dust? Can these sectors be repaired? Read More . If the diagnostics didn’t help with isolation, you will need to turn off the system and remove both the power and data cables from the drive. Power up the system again to see if the noise is still there. If it is, the drive is not the problem. Power down the system again. Connect the power cable to the drive leaving the data cable disconnected and turn the system back on. If the noise is no longer there, turn off the system and connect the data cable. Power up again. If the noise returns, you have a faulty data cable which needs to be replaced. I leave this one for last as it requires the most disassembly. Power off the system and remove the drive from its bay. Attach the power connector only. Place it on a secure anti-static surface if you wish but I prefer to hold it in my hand so I can feel what is happening. If you opt to hold the drive, ensure you are grounded to the system. Power up the computer again. If you still get the noise, the drive has failed and should be replaced. Otherwise, the physical installation is the problem. You may want to try mounting the drive in a different bay or using gasket washers between the screws and mounting brackets. If you were holding the drive, you should have been able to feel the drive spin up and the actuator moving during the drive initialization as it traversed its entire span of the disk. An external or portable drive that spins up, clicks or beeps, then spins down repeatedly is most frequently caused by insufficient power. It is more prevalent on portable drives since all of their power is being supplied by the USB port and is exacerbated by old USB standards (1.x), unpowered hubs, or long cable lengths. Use a direct connection to a USB port on the motherboard/expansion slot, not a front port. Use USB 2.0 or later ports. Use a cable less than 18 inches long. Use a power booster cable to power the drive with two USB ports instead of one. For devices with a power adapter, plug it directly into a wall outlet instead of a power strip or move it to an outlet with fewer devices connected to it. The same diagnostic tools listed above also work with external drives, so it should be your next course of action. The last things to try are replacing the data cable and trying the device on another PC. If neither of them fix the problem, the drive or its interface board is faulty. The only way to tell the difference between the two is to crack open the housing and physically remove the drive from the enclosure. Once the drive has been removed, you can either connect it internally in a desktop computer or via an IDE/SATA-to-USB adapter cable and test as an internal drive described above. If you are bold, there are a few things you could try to recover data from the drive yourself. 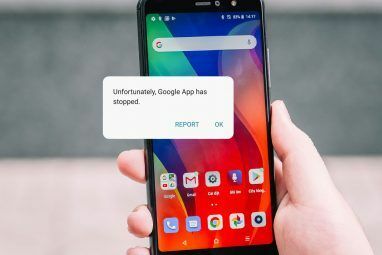 Just be aware that while attempting this may allow you to get all of your data back, you could also end up with nothing at all and no way for a professional recovery service to do it either. If you hear a repetitive, rhythmic tapping, it is a sign of a problem with the actuator, at least one read/write head, or the preamplifier. Your only option in this case is a professional service that can do a complete disassembly and rebuild of the device in a clean environment. If you do not hear any sounds at all, this is another case for the pros. If the drive motor is shot, the platters won’t spin. If the platters don’t get up to speed, the actuator won’t attempt to move since the necessary airflow to float the read/write heads won’t be there and it would simply drag the heads across the surface of the disk causing physical damage. If you cannot hear the drive spin up and the actuator movements, the drive may have bad bearings or be experiencing stiction. Stiction is when the read/write heads are physically stuck to the platters of the drive. You may still hear other sounds, sometimes sounding like beeps or a quiet buzzing, when this happens. It is at this point you can ask yourself if you are courageous or foolhardy. There is a 50/50 chance that this is something that can’t be dealt with at all (bad bearings/frozen spindle) without a rebuild using donor parts you probably don’t have. Your best option is still to resort to a professional, but if you want to try your luck with a DIY solution and you have a drive with enough free space to hold everything you could possibly recover from your failed drive, you can crack it open yourself. Just remember, this is equivalent to acting as your own lawyer during a murder trial, or performing an appendectomy on yourself. Now that you have decided to risk data on your drive, set up your destination drive, ensure it is working properly, formatted, and free of uncorrected errors. You want to minimize the amount of time required between opening up the defective drive and beginning the copy process in the event you can get the drive to work. If the problem drive is an internal drive, you should remove it from the computer and have an appropriate adapter available to reconnect it externally. If it was an external drive, I am assuming it was removed from its original enclosure to complete the testing described above. For part 1 of this exercise, you will simply attempt to use centrifugal force to break the grip between the parts. Hold the drive in vertically in front of you so you are looking at the bottom of the drive. The drive motor should be close to the center of your palm and the drive connectors pointed toward the floor. Keeping the device vertical, twist your wrist a couple of times to the left and right. This should create enough force to break the stiction. Plug the drive in and see if it is working. If it is, begin backing up your data to your previously set up destination drive. If it still doesn’t work, you can try part two. For this method, you will need either a small Philips screwdriver or a Torx (T8) driver to remove the screws holding the drive body together. Some (or all) of the screws may be hidden under the label on the top of the drive. Remove the screws and pry the two sections of the body apart. Congratulations! You have crossed the Rubicon by contaminating your hard drive! If your drive has a parking area off of the platters, stiction was not the problem. Instead, it lies with the motor, bearings, and/or spindle and we cannot do anything further here. Otherwise, you have two options. You can try to move the heads laterally across the platters or you can try to turn the spindle counter-clockwise a short distance. In either case, “a short distance” is key. You do not want to scrape the heads across the platters any more than necessary to free it up. I have also seen demos where both are done in order to clear the heads from the platter and put them into the off-platter parking area. The one time I needed to perform this operation, I was using an old hard drive that parked the heads close to the spindle which is where the heads were already located, so I just needed to ensure the platters could spin and not worry as much about the heads scraping the platter surface. Once the movement is clear, plug the drive into your computer and hopefully it will successfully spin up, initialize, and present itself so the operating system can mount it. Once it successfully mounts, copy all of your recoverable data from it to your destination drive. When that completes, you should dispose of the contaminated drive. Whilst many of us enjoy listening to metal, hearing metal-on-metal sounds coming from one’s hard drive is far from pleasant. The best course of action is always to make an immediate backup, if possible. If a backup cannot be made, professional data recovery is the next best option if the data is critical and you have not been exercising a regular backup regimen as we espouse in many locations at MakeUseOf. In any case, whether you are recovering your system from your last full backup, relying on pros to revive as much as they can, or trying any other tricks you have found while scouring the web, the affected drive must be removed from service, even if you do manage to get it working again. Full trust in the device can never be reestablished but they can be useful for artists. If you are having trouble with your hard drives without the unusual noises, Tina Sieber has a fantastic collection of troubleshooting tips How to Repair a Dead Hard Disk Drive to Recover Data How to Repair a Dead Hard Disk Drive to Recover Data If your hard disk drive has failed, this guide will help you with the hard disk drive's repair and data recovery. Read More that may save the day and Joel Lee provides tips to keep your hard drives running longer How to Care for Your Hard Drives and Make Them Last Longer How to Care for Your Hard Drives and Make Them Last Longer Sometimes an early death is the fault of the manufacturer, but more often than not, hard drives fail earlier than they should because we don't take care of them. Read More . Following these can help prevent costly repairs or recovery down the road. Explore more about: Hard Drive, Storage, Troubleshooting. 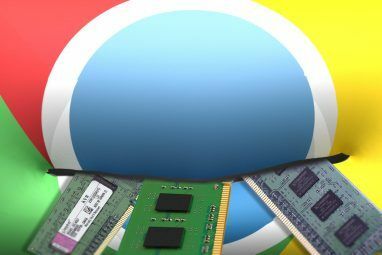 Here’s How To Easily Fix Lagging AudioHow Do I Stop Malware From Redirecting My Web Searches? Very good article. Will be bookmarking it for future reference. Found your short Bio interestingly similar to my own, the times and epics for sure :-). "Over the years", , no "Over the Hard Drives" Ive also found on more than a couple of times that a very gentle tap with a hard object on the frame of the HDD will induce it to spin up. "Very gentle" such as the jar it would feel while setting it down on a hard desk top or bench top. The same sort of thing you do for a noisy fan, (I guess not quite as hard as a for a fan). Enjoyed this article and will be reading a number or the others. Once in a while my laptop has what I refer to as "racing fans" and it heats up quickly. I blow out the dust etc. It seems to cease when eventually an update arrives and I install it. This is happening at the moment, but I cannot find pending updates.